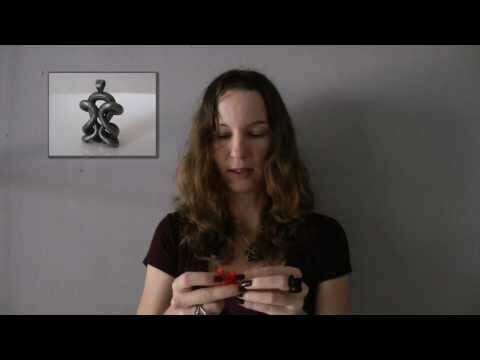 Infinity Ring: The Sloris ‘One Infinity Ring’ is a stylish piece of 3D printed jewelry perfect as a gift for yourself or the deserving woman in your life. The universal recognition of the infinity symbol united with the artist/designer’s unique interpretation produced a ring which suits anyone with a keen eye for design; from a fashionista to the quintessential ‘girl next door’. Matching pendant, bracelet and earrings available: One Infinity Bracelet One Infinity Earrings One Infinity Pendant See all of our products in the Sloris shop!